On Palm Sunday (14th April) we are joining our friends at St Michael’s. Please gather in St Michael's Church by 9.25am. Weather permitting we will then move into the Park opposite for a 9.30am start! The Blessing of Palms and reading of the Palm Gospel will take place outside and then everyone will process back into church. There will be Service books and palm crosses in the Park for anyone who goes there directly. The Good Friday Service at Abingdon Baptist Church is at 10:30am not 10am. Easter Sunday (21st April): we will be dressing the cross with flowers on Easter Sunday, so if you would like to raid your gardens it would be helpful. With thanks. Hot cross buns will be aserved in the Conduit Centre from 9am. 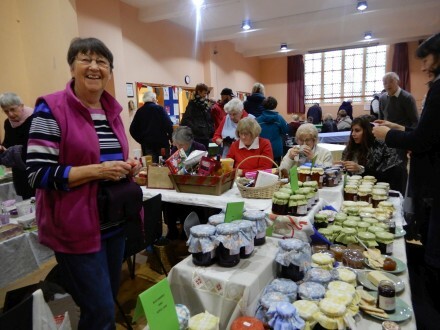 Trinity Church Hall was the location for the traditional Christmas fair with Jewellery, Cakes, bric-a-brac, books, toys, a raffle, lots of marmalades, chutneys, jams, cakes, crafts, cards, decorations and refreshments. Joanne would like to say thank yoi for the help and support with the church fair. Over £1,000 was raised for the church funds which was great. Although the weather was not very pleasant, there was a great turn out and hopefully everyone enjoyed themselves. 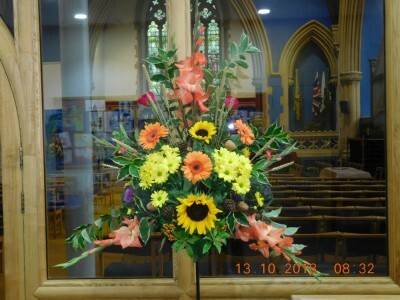 A big 'thank you' to Selina and all the Uniformed Organisations for the wonderful Harvest Festival Service last week. Also to all those who decorated the church and/or brought gifts to share, and those who helped with the distribution of gifts and flowers. TrinityLearning were one of four joint prize-winners in The URC's Community Project Awards last week. 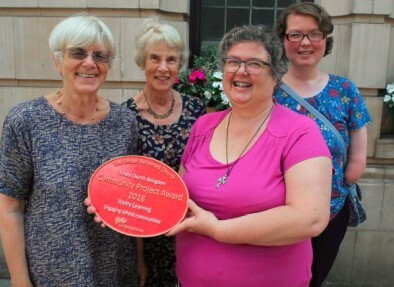 Eve, Petronella & Rosemary attended the General Assembly in Nottingham, where they received a large brass plaque and cheque for £2000, to be used for training volunteers. This award recognises Trinity's vision and determination in supporting a much-needed cause. 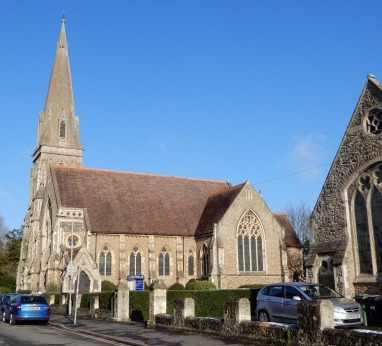 May 27th 2018 marked 40 years since URC and Methodist churches in Abingdon joined to form Trinity Methodist / URC Church. In 1968 the Abingdon Congregational / URC Church came to share worship in the same building as Trinity Methodist Church. They maintained their separate organisations for the next ten years then in 1978 Sharing agreements were signed and the two congregations united as Trinity Church. In the recording alongside (from the May 27th Trinity Sunday Service) the history of the two churches are told. 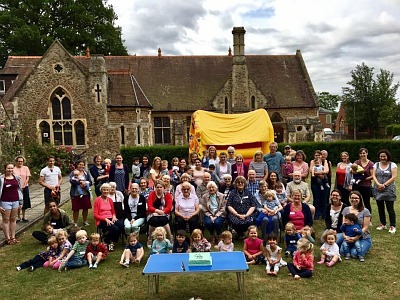 Trinity toddlers celebrated their 30th anniversary in July 2017. A big thankyou was said to all the helpers past and present. Helpers provide support for all the mums, dads, grandparents, carers and children who come. A special mention was made to the longest serving volunteer, Marjorie Wallis, who has helped ever since the group started. She continues to help every week on the welcome desk. The group starts back on the 14th September after the summer holidays.